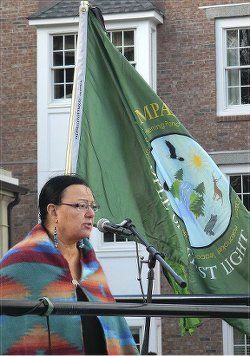 Following are the full remarks of Mahtowin Munro, co-leader of United American Indians of New England, at the 46th annual Day of Mourning rally in Plymouth, Mass., on Nov. 26. To hear her talk, visit tinyurl.com/hga5975. We want to give a shout-out to those who are observing Unthanksgiving at Alcatraz Island this morning and to all our people everywhere who are taking the time to mourn our ancestors instead of celebrating thanksgiving. We understand that there was a sunrise ceremony in Washington state this morning and that people in Baltimore are spending an hour right now honoring National Day of Mourning and also supporting Walmart workers there; and there are small observances happening in many places all around the country and the world. We welcome everyone who has traveled here as family. New York City is in the house! Thank you to the International Action Center for bringing a bus from Manhattan once again. There is also a Haitian community bus that came from Brooklyn. Merci a Daoud et notres amies Haitiennes. We want to welcome our union sisters and brothers from Local 8751 Boston School Bus Drivers who help us with the logistics every year, no matter what. And in this time of rampant Islamophobia in many quarters throughout the world, we want to give a special welcome to our Muslim friends who are here today. Now let us all focus together on our ancestors and come together. ]Today we mourn the loss of our Mashpee sister, Constance “Lone Eagless” Cromwell, who stood proudly at National Day of Mourning for decades. We remember Sam Sapiel, Wamsutta Frank James, all the elders who came before us and who have passed into the spirit world. When the Europeans came into our harbors with their little boats, no one could have imagined the destruction that would follow. So many Native people died so rapidly that scientists now say it caused planetary climate change. Millions of living beings, animals, insects, birds, fish, plants were wiped out by the ravages of European colonialism. The land and water and sky have been violated. All of this is in our hearts as we stand here today. Indigenous people are largely erased in mainstream media, in government statistics, in discussions of race and racism. Additionally, we have to deal with disrespect and cultural appropriation — that is what happens when people rip off our cultures and designs, or when you see pop stars and white kids at music festivals wearing fake headdresses. But we resist this erasure at every opportunity, whether it is by public awareness events like today or by teaching our languages and cultures to our children. There is still a lot of racism directed toward us by hateful people, the same kind of people who want to keep waving their confederate flags. They don’t care that our Native youth have the highest suicide rate in the country — in fact, some bigots joke about things like this. These bigots ignore or mock the extreme disparities in health, housing, education and income that Indigenous people face daily. Even when we speak loud and clear for everyone to hear on an issue that should be a matter of simple human decency — when we say that schools and sports teams need to stop using racist mascots and team names — some white people refuse to listen. This past year, President Obama expressed concern about the conditions of Indigenous people in the U.S. We will see whether any of these government efforts will last very long, but it has at least given hope to some youth that they will not continue to be ignored. Some youth from this area, including my son, were at the White House Gathering for Tribal Youth this summer, and were awestruck to see Michelle Obama there. 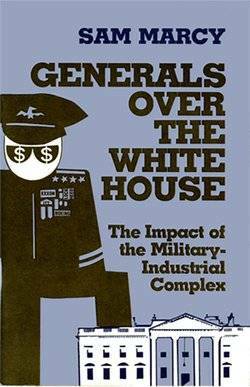 We cannot forget, though, that this is the same government that continues to oppress us, to treat us as subject people rather than as sovereign nations, and to steal, exploit and devastate our lands for its own benefit. It is the same government that keeps our brother Leonard Peltier in prison for nearly 40 years now. Leonard Peltier, an innocent man, was framed up by the FBI. We really need people to get behind an all-out effort to demand clemency from President Obama, who could pardon Leonard rather than a turkey. We will have a message from Leonard a little later in the program. We pray today for all of our sisters and brothers in prison. Additionally, we are glad to note that the right to participate in sweat lodge ceremonies will now be legally restored to Native prisoners in Massachusetts as a result of a court decision two days ago. Violence and sexual assault against Native women continues to be rampant. Usually, it is by a non-Native man who is then often not prosecuted. At least one out of three Native women report having been sexually assaulted. In Canada, there is a push for an inquiry into missing and murdered Indigenous Women, Girls and Two Spirit People. Thousands of Indigenous women are trafficked, missing or murdered in Mexico and the U.S. as well. We pray today for them and their families. This violence against women is deeply tied to the violence against the earth that has happened since the first day of the European invasion. I pray too for transgender people, who honored a Trans Day of Remembrance this week. We have talked for many years here about how much we all hate Columbus Day. The campaign to abolish Columbus Day and declare the second Monday in October to be Indigenous Peoples Day has really gained ground this past year, with cities ranging from Albuquerque to Seattle to Ann Arbor coming on board. And we are happy to announce that we are initiating a campaign for this in both Cambridge and Boston, with the support of some folks from the North American Indian Center of Boston. We will have a lot more information to share about this at a later date and will seek everyone’s help and support, so please make sure to follow us on social media for updates. Some of you here went on the Justice Or Else march in D.C. last month. 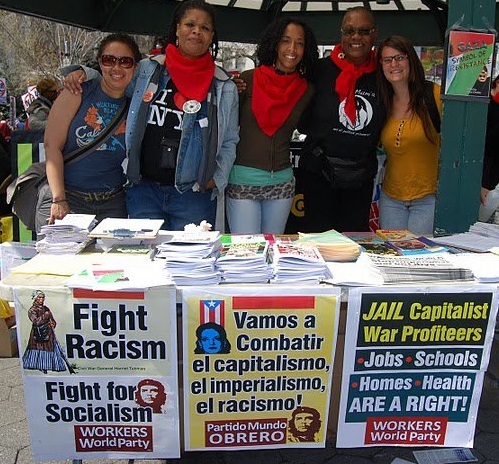 That march was amazing in part because it did so much to strengthen the links between Black and Brown people. This understanding will grow stronger. 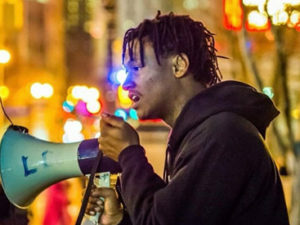 Due largely to the work of Black Lives Matter and other Black-led movements, this year has been one in which awareness about deaths by police and in custody have been brought to the forefront nationally. And before I say anything else, I want to say: BLACK LIVES MATTER! Some of you may be surprised to learn that Native people are over-incarcerated and have very high rates of deaths by police and deaths in custody, comparable to rates experienced by Black people in the U.S. I know that some people now are using the slogan Native Lives Matter — not meaning to appropriate the term from Black people so much as to draw attention to what is happening to our people, too. You may not have even heard about the cases of Native people who have died — Paul Castaway in Denver, Sarah Lee Circle Bear in South Dakota, many more — so please learn more about this after you leave today. This is not something that just started happening recently. Some of you here will painfully remember that a Mashpee man, David Hendricks, was shot by the police back in 1988. We pray for all of the victims of state violence and their families, that they will find justice. Throughout the Americas, Indigenous people are on the frontlines of many struggles against pipelines, fracking, mining, tar sands. This is because many of these projects are going directly through or near our treaty lands. President Obama recently turned down the Keystone XL Pipeline project after more than six years of silence on it, and that was great news. That victory came about because of the steadfast resistance of Indigenous people and allies, and there are many more fights to come. For instance, right here in Massachusetts and Rhode Island, there have been struggles against a company called Spectra and their natural gas operations. Everywhere, everywhere, Indigenous people have been talking about the sacred water — walking for the sacred water. We cannot live without water, water that is being poisoned and wasted. In August, the Environmental Protection Agency caused a toxic mine spill in Colorado that led mining poisons to be unleashed on the Colorado, Animas and San Juan rivers. The portion of the Navajo Nation along there could no longer draw water for livestock and crops, and farmers wept at the sight of their crops wilting. Despite urgent pleas, federal government agencies such as the Federal Emergency Management Agency have refused to give the Navajo Nation the help that it needs to deal with and recover from this disaster. In Arizona, John McCain and other corrupt politicians have signed Oak Flat, a sacred Apache site, over to a mining company. We must work to reverse that. In Hawaii, the University of Hawaii wants to build the world’s largest telescope atop sacred Mauna Kea, but Native Hawaiians and allies have been doing everything possible to protect Mauna Kea and stop that from happening. 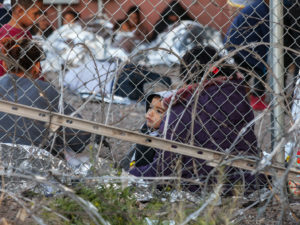 The struggles of Native people do not end at the border with Canada or Mexico. There is a lot going on in Canada (though not enough time to talk about it). Some of you may know that the Truth and Reconciliation Commission presented its report about the Indian residential schools this past year. The suffering and genocide caused by the residential schools continue to resonate in many lives and communities in the U.S. as well. In Mexico, Indigenous students and many other people have been murdered by government forces in Ayotzinapa and elsewhere. Some of us consider Palestinians to be our Indigenous cousins; our histories have so many parallels, and they continue to endure daily violence, the theft of their land, the destruction of their homes, the murder of their children. In Australia, in Brazil, in country after country, Aboriginal people are dealing with many of the same issues that we deal with here. We pray for and stand in solidarity with all of them. I feel that my first obligation is as a mother. That obligation is not only to my children and grandchildren, but to all the youth, to support them and help them make a better world. Some of us believe that this generation of youth will really be able to make change in the world and lead the way. We can see that happening already, with Native youth providing leadership on matters in their own communities and bringing some reality into international discussions on climate change. Indigenous students also are an important part of the inspiring fightbacks against racism happening on campuses all over the country, including Native students in this region at UMass, Brown, Dartmouth, Yale, Harvard and elsewhere. I keep hearing that those of us who have suffered from racism, violence and genocide experience something called intergenerational trauma. The trauma keeps reverberating. I read that what we have suffered can even change our DNA. The history we talk about here is not just something we can forget about. It is with us every day. It is literally in our bones and our blood, in every cell. But I do believe that we can heal and transform when we talk about these things, come together in community, work together to decolonize our minds and make a better world, just as we are doing today. To our beautiful, inspiring Native youth, I say: Learn about and remember what your ancestors went through to bring you here. Remember that our people always, always, always resisted. Remember too that we are so proud of you, because you are becoming the generation that our ancestors dreamed of.